When we bought our house last winter, we up-sized from a 500 square foot apartment to about 1000 square feet. Giving us quite a bit more space to furnish. We also are ready to say goodbye to some of our mass produced, not-so-high-quality furniture, and invest in some furniture that will last us decades rather than a few years. I like that the mounted shelves are easily customized, and can be moved around if we want a different configuration in the future. 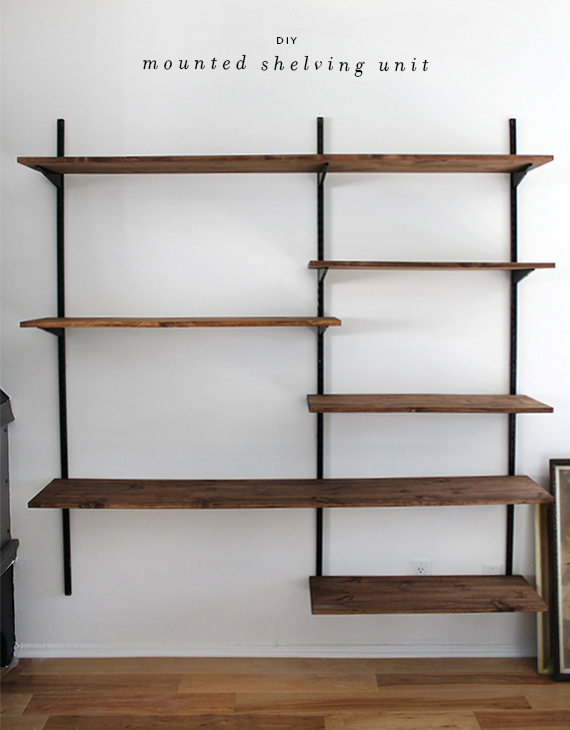 And I love the chunky look of the pipe shelving. 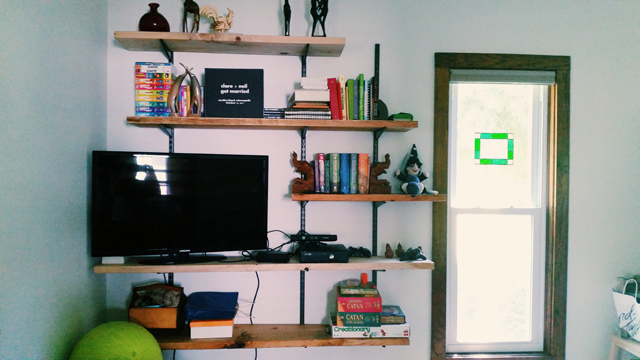 So I combined the two, and made wall mounted shelves with 2″ thick boards rather than 1″. So what made these shelves a bit more earth friendly? I got half of my lumber from my local Habitat Restore, which means it was either salvaged from some deconstructed project, or the left-overs from a project. Reusing materials that still have plenty of life left in them allowed us to save some boards from the burn or trash pile, and helps keep a tree from being cut down. Have you signed up for the building earth newsletter yet? You can do that here! This entry was posted in design, house and tagged green building, green furnishings, lumber, shelves on August 7, 2015 by clare-admin.